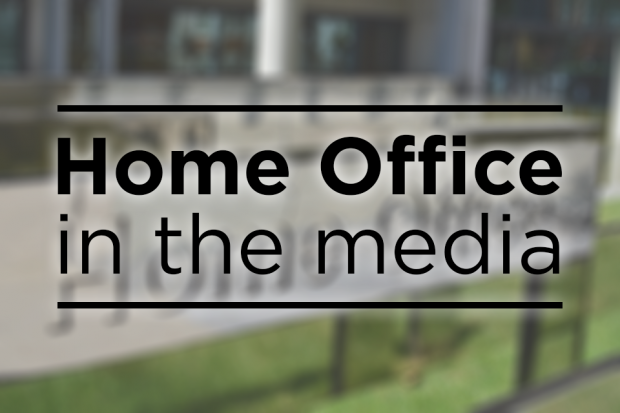 Today’s Home Office-related coverage includes a clandestine who entered the UK via France. The Mail reports that a Sudanese person was found underneath a school bus when the vehicle stopped in Ipswich on Tuesday 12 December. The paper says that the person stowed away on the bus as it stopped in Calais, France. Background on the case can be found below. Immigration Enforcement was contacted by Suffolk Police on Tuesday 12 December after police officers attended an incident in Chelmondiston. A male, who presented himself as a Sudanese minor, was taken to hospital as a precaution, but has now been passed into the care of social services to be age assessed. His case will be progressed in line with the immigration rules.